Plastic waste currently accounts for over 80% of marine litter in the EU while half of this amount comes from single-use plastics. At the same time, less than 30% of the nearly 26 million tons of plastic waste generated annually in the EU is collected and reused. As the battle against plastic waste continues, a European Parliament resolution voted on September 13th recognized that biodegradable and compostable plastics are not the solution to plastic pollution and is currently strengthening the EU plastics strategy. 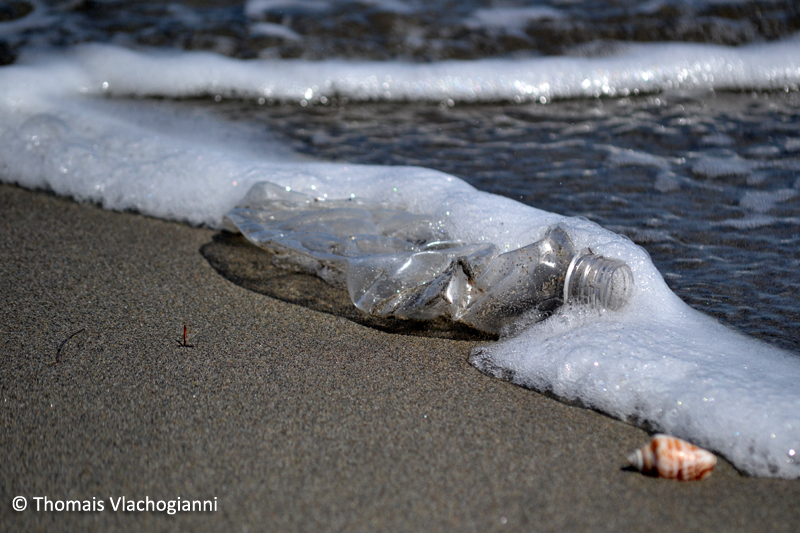 More specifically, MEPs recognized that biodegradable and compostable plastics cannot be considered a remedy against marine litter, nor should they legitimise unnecessary single-use applications; and they called for a complete EU ban on oxo-degradable plastic by 2020. MIO-ECSDE has repeatedly pointed to the fact that oxo-degradable plastics break down into small fragments and become harmful microplastic pollution, and thus they are not an ‘environmentally-friendly’ option over traditional plastics. MIO-ECSDE has also been for years highlighting that biodegradable and compostable plastics pollute our coasts and seas just like conventional plastics, as they behave quite differently in the marine environment than in a terrestrial setting (landfill, composter) where the conditions required for rapid biodegradation are unlikely to occur. In the resolution adopted on September 13th, micro-plastics in cosmetics, personal care products, detergents and cleaning products are also to be banned by 2020. MEPs urged the Commission to set minimum requirements in product legislation to significantly reduce the release of micro-plastics at source, in particular for textiles, tyres, paints and cigarette butts. To curb the generation of plastic waste, MEPs welcomed the Commission’s proposal on new rules for reducing the impact of plastics such as lost and abandoned fishing gear and single-use plastics (plastic cotton buds, cutlery, plates, straws, drink stirrers, food containers, drinks cups, etc.). “We are thrilled and relieved to see that the fight against plastic pollution continues. Europeans can leverage the plastic waste problem by turning it into an economic resource, but we have to keep in mind that in order to benefit from the potential of plastics, we need to push for more sustainable waste management practices and actually close the cycle of life of plastic materials.” said Prof. Michael Scoullos, Chairman of the Mediterranean Information Office for Environment, Culture and Sustainable Development. Yet many Mediterranean countries, including Greece, Malta, Cyprus and Croatia are struggling to meet EU recycling targets. MIO-ECSDE welcomes the resolution and will continue to follow the discussion, hoping for further measures against the plastic pollution of our coasts and seas.